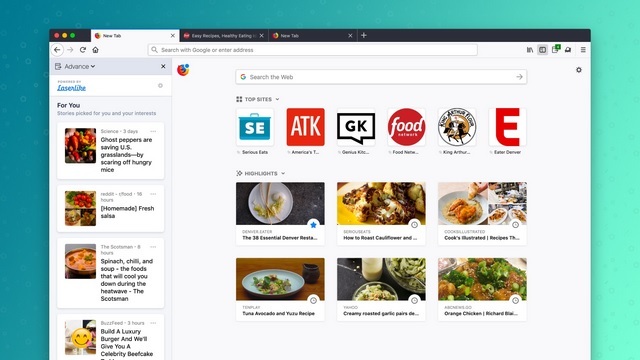 Mozilla has announced a new feature for the Firefox web browser which employs machine learning to suggest new websites and pages based on users’ browsing history and web surfing habits, and that too, in real time. The new feature is called Advance, and it is an extension which has been introduced as part of Mozilla’s Test Pilot program. Once the Advance extension is enabled, it will track users’ internet browsing patterns such as websites they visit, what kind of content they consume on a regular basis, etc. and will accordingly take notes to present recommendations in real time. The recommendations will appear on the left side of the screen in the form of a vertical sidebar. Advance delivers real-time recommendations to your Firefox sidebar while you browse. 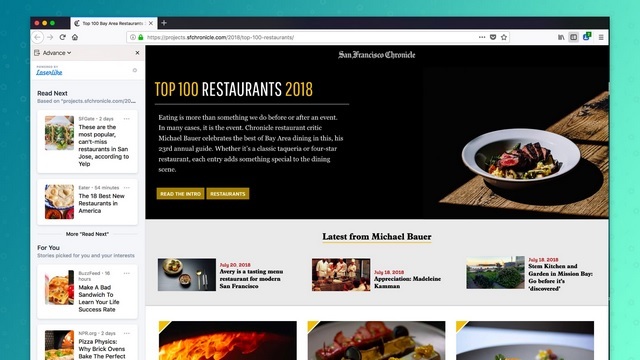 Advance uses your current browsing to suggest related news and similar pages to read next, and uses your browsing history to create a personalized feed of quality content. The Advance extension recommends new content on two patterns. The first is real-time recommendations, which suggests relevant content based on the ongoing web browsing activity that will appear below the ‘Read Next’ heading on the vertical sidebar. The second one is a long-term, comprehensive learning-based recommendations algorithm, which sifts through the browsing history and suggests relevant content which populates the ‘For You’ section in the sidebar. According to Mozilla’s blog post, Advance is based on a machine learning technology created by a company called Laserlike, which enables content discovery based on web browsing activity and provides users a diverse perspective on a topic or subject from different sources on the internet which are trusted and have a large base of followers. The recommendations provided by Advance are fully personalized, and if users find something in the ‘Read Next’ or ‘For You’ section which is irrelevant, they always have the option to flag it as ‘Not interesting, off topic/spam, block sites’ and also submit a personal feedback to polish Advance for them. Mozilla has also announced a couple of privacy features related to Advance. First of all, if users are browsing the web in private mode or disable the Advance extension, no data regarding their web browsing activity will be saved. Moreover, there is also a way to request what user data is collected by Mozilla and Laserlike to offer them personalized recommendations. 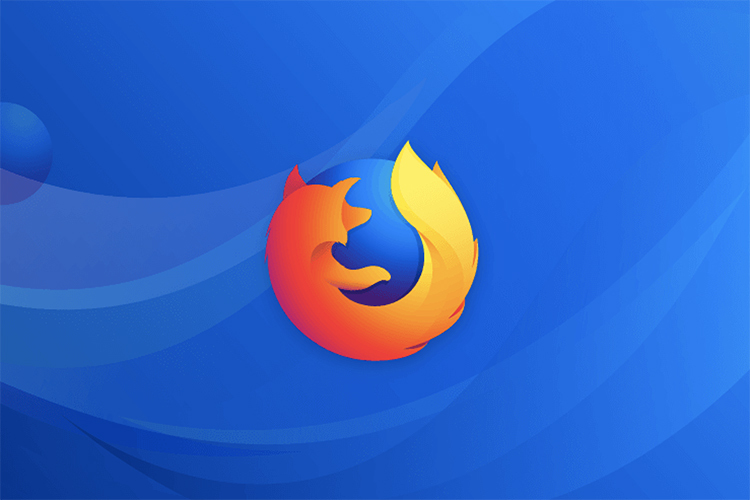 If you want to give Advance a try, sign-up for Mozilla’s Test Pilot program and download the Mozilla app’s test version for Windows, macOS and Linux here.